Sam, Peter, Paul and Ann Handy are expanding northward, too. 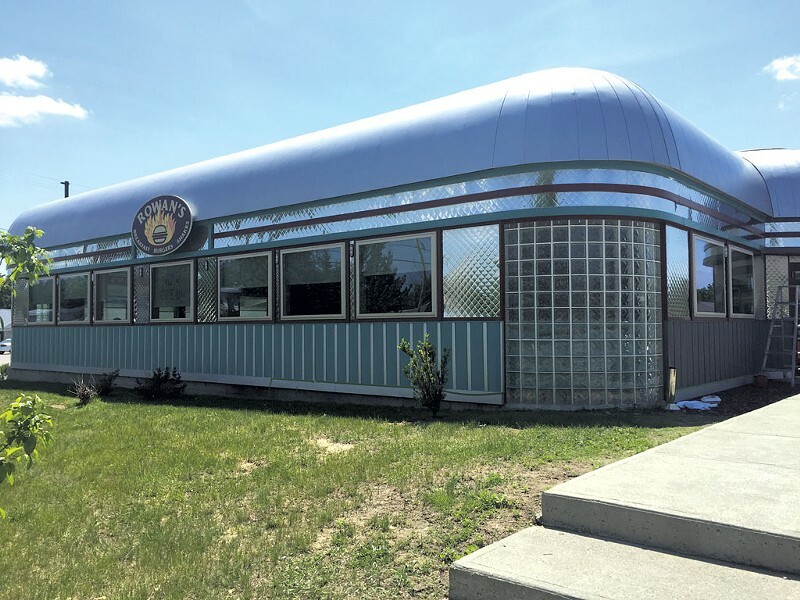 Last Tuesday, May 26, the siblings fired up the grill at the former Apollo Diner in Milton — which they've reopened as Rowan's, the latest addition to the family's growing empire of local eateries. A place that once served up Greco-Italian cuisine in the guise of a traditional diner now touts the classic American trifecta: breakfast, burgers and milkshakes. The morning menu at Rowan's (offered from 7 to 11 a.m.) includes short-order standards such as pancakes, waffles, French toast and omelettes. 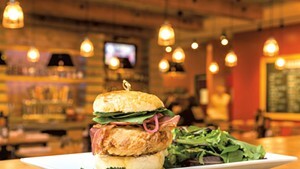 For lunch and dinner, burgers and a meaty selection of sandwiches and melts come sided with hand-cut fries. Appetizers lean toward tavern fare, with fried pickles, chili and crispy wings. To wash it down, hand-turned shakes in enticing flavors such as Nutella and Vermont Maple accompany six local brews on draft. Switchback Brewing ale, Fiddlehead Brewing IPA and Citizen Cider Unified Press are regulars on the tap rotation. Along with the new menu, Rowan's has some new rigs. High tops have replaced the Apollo's counter seating, and the Handys plan to outfit a one-time conference room as a lounge area with tables and flat-screen TVs. Rowan's general manager, Paul Handy III, assures locals that the changes, while visible, aren't too drastic. "We don't want to overdo it," says Handy, son of Rowan's co-owner Paul Handy. Whether customers want a sit-down meal or just to grab a couple of beers in the lounge, Handy says his family hopes to welcome all members of the Milton community. Front-of-house manager Jaimee Brown describes Rowan's opening week as "very busy and very successful" after a few slow-starting mornings. Business gained momentum on Thursday evening, Brown says, and the diner ended up selling 200 burgers between 6 and 9 p.m. With seating for 160, there's certainly room for a crowd. Rowan's rises early, with weekday hours from 7 a.m. to 9 p.m., extended to 10 p.m. on weekends. The original print version of this article was headlined "Live From Rowan's"